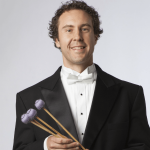 Freelance percussionist Paul Gibson performs regularly with the Tucson Symphony Orchestra, Tucson Pops Orchestra, Arizona Opera, True Concord Voices & Orchestra, Artifact Dance Project, and the Flagstaff Symphony. 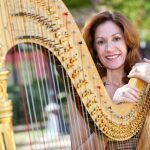 He can also be heard with Dodge Entertainment and TADD Management stage shows, as well as with the Tucson & District Pipe Band. Paul holds a Bachelor’s degree from the University of North Texas and a Master’s degree from Rowan University.